With Assembla SVN, users have the ability to lock a file after checking it out from Assembla SVN within the web app. 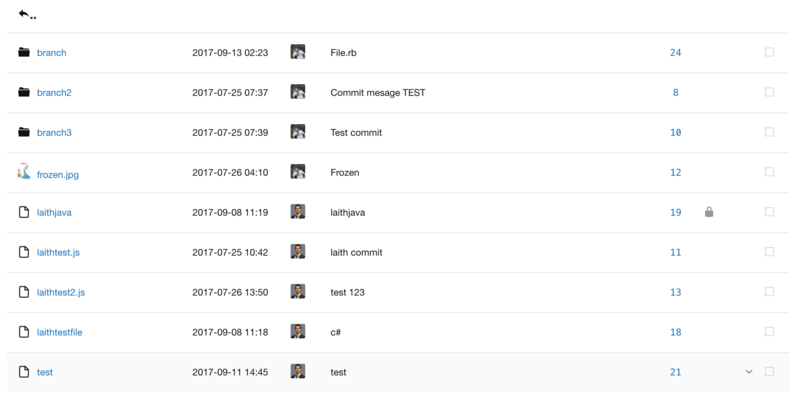 This will help reduce merge request issues and allow for smooth commits back to the repo. Users can also see who has locked a file and break or steal locks all from the web app. Just make sure to unlock the file once you’ve finished working on it! The UI has been updated to include a column which displays a grey padlock if a file is locked. Hovering over the lock will give a pop-up that shows the time the file was locked as well as the locking message submitted by the user who locked that file. Hovering over the users’ icons will show the profile card of the user who locked the file. In addition, users can lock multiple files at once by selecting those files with the check box to the right of the screen, clicking “Actions” at the top of the column, and selecting “Lock” from the dropdown menu. Additionally, users can bulk unlock, steal, or break locks in the same way. Clicking on a locked file will allow a user to view the file as well as its locked status and the user(s) who locked it. However, it is not possible to steal or break locks from within the file itself. There are several ways to modify the locks protecting your files. The simplest and safest way would of course be to talk to the owner of the lock and ask them to unlock the file when they are done with it. However, there are also other ways to remove the lock from a file you want to access. Stealing a lock, as the name suggests, allows one user to remove the lock from a file and then immediately lock it again in their own name. 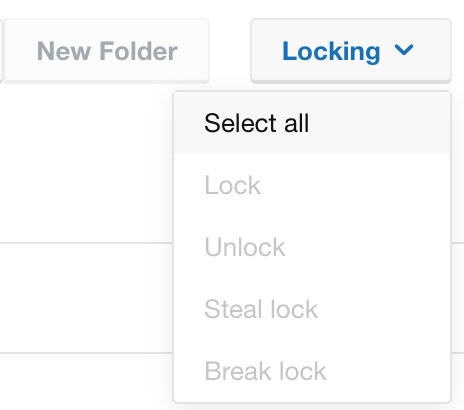 Stealing a lock can be accomplished by simply clicking the menu icon to the right of the file and selecting “Steal file lock” from the dropdown menu. Breaking a lock allows a user to unlock a file that was not locked by them. Breaking a lock can be accomplished by clicking the menu icon to the right of the file and selecting “Break file lock” from the dropdown menu. When multiple users have locked a folder or file, multiple icons will be displayed to the right of the lock icon and additional users can be displayed by hovering over the "+n" icon. All locking and unlocking actions are logged in the stream. They can be adjusted through the new filter “Svn actions” at the bottom of the filter list. Additionally, users will be able to receive locking alerts from events in the stream. There are two settings for this. Follow the URL <spaces/SPACE_NAME/admin/alert_settings> and select “Change Email Alerts for New Team Members”. At the bottom, you can adjust the notification frequency for “Svn actions”. 2. Follow the URL </user/edit/email_notification>. You will then be able to select the notification frequency for “Svn actions” near the bottom of the page.